A million children under the age of 10, in England and Scotland, are facing “Dickensian” levels of poverty as they prepare for Christmas, a charity says. Action for Children drew on government figures for the number of low-income families with children of that age that are experiencing material deprivation. The charity also highlights a 30% rise in the demand for financial advice over the past three years. The government said since 2010, 300,000 fewer children were living in poverty. 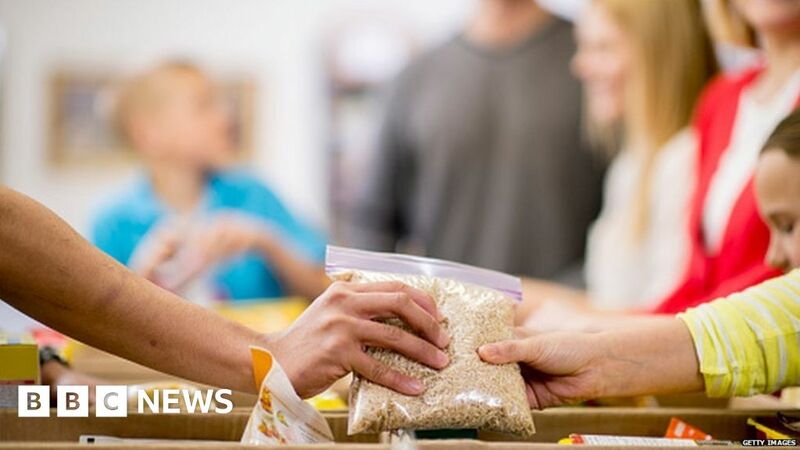 The charity will be running unofficial food banks over the Christmas period for families it says lack fresh food, suitable clothes and, in some cases, money to pay for heating. It blames the “double blow” of government austerity and problems with the introduction of universal credit. Parents of four, Paul and Donna Maund, from near Norwich, said the family had to rely on benefits to cover the weekly basics, despite Paul working full time in a sandwich shop. Donna said: “It won’t be long before we’ll have to start using food banks, as I’ve noticed prices going up and up. “By finding the bargains at discount supermarkets, I’ve worked hard to get my weekly food bill for the whole family down to £45 – but the only way we can afford Christmas dinner and all the treats for the kids this year is by going to my parents. “Finding the money for our oil heating is the worst. “I always have to borrow the money from my dad and then pay him back every week. Ms Bentley said: “Our youngest children should be waking up in a warm bed after a visit from Santa on Christmas morning – but the shocking truth is that in 2018 many will be cold and hungry in the fifth richest country of the world. The charity is calling for the chancellor to end the freeze on children’s benefits so that rising prices do not push more families into poverty. A government official said it wanted every child to have the very best chances in life. “There are now one million fewer people living in absolute poverty since 2010, including 300,000 children. “With this government’s changes, there are fewer children in workless households than ever before, boosting their prospects in life.